(MESSAGE-IN-A-BOTTLE! 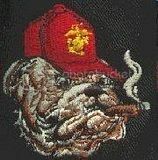 ~ Gunny G: GUYS AND GALS w/GUNS IS WORKING ON THE STREETS OF AMERICA AND ELSEWHERE ACROSS THE LAND! IT CAN ALSO WORK IN AMERICA’S SCHOOLS!!! ~ CALL FOR VOLUNTEER GUYS & GALS w/GUNS FOR OUR SCHOOLS ~ TRUMP.45’s “POSSE”! NOW! RIGHT NOW!!!!!!) PLEASE REGARD THIS AS “A CRY FOR HELP” AND FORWARD/POST EVERYWHERE! AND ESPECIALLY TO POTUS.45 TRUMP AND ALL HANDS !!!!! | GUNNY.G: COCKED AND LOCKED ~ ONCE A BLOGGER ALWAYS A BLOGGER ! TRUMP.45 MAKING AMERICA “AMERICAN” AGAIN!!!!!!!!!!!!!!!! !